Meet your neighbor, Debbie Gillam of Media. Debbie was born in Biggsville, daughter of Earl and Mary Lee Taylor. Her parents met when Mary Lee was a teacher and taught at Bald Bluff where Earl's younger brothers and sisters attended school. They were married December 27th, 1951. Mary Lee lives in Stronghurst now and Earl died in January this year. He had farmed all his life. His parents were Oscar and Belva Taylor who farmed in the Bald Bluff area. Mary Lee was born to C. C. and Marie Hemminger and they moved to the Media area in 1939 after living in the Middletown, Iowa area. The government took over the farms there for the ammunition plant and many families had to relocate. When Debbie was at home on the farm, they raised sheep and other livestock, had a big garden and there was always something to do. Nobody gets bored on the farm! She remembers the county fair competitions with her sheep and the summers spent "walking beans". For those who have never had that experience, ask Debbie to explain it to you! No one does that anymore. Debbie's brother Craig and wife Diana live on the family farm now outside of Media. They have five children: Wendy, Brent, Jade, Paige and Jace. Jade helps on the farm and in the fall when they need more help, and Jace takes a week's vacation to help in the fall. Debbie has one daughter Julianna, 22, who graduated from Culver -Stockton College in Canton, Missouri and is finishing her first year of her Masters in Occupational Therapy at St. Ambrose College in Davenport, Iowa. Debbie enjoys seeing Julianna's academic success and loves the time they spend together. Debbie graduated from Southern High School in 1973 and Culver-Stockton College in Canton, Missouri, in December 1976. She finished the 1976-1977 school year teaching second grade at Normal. She then taught fifth grade at Mark Twain grade school in Hannibal, Missouri for three years. Wanting to be closer to her family she returned to Media and Henderson County and taught twenty five years at Southern Junior High School then at West Central Middle School for five years. She has been retired for three years. But "retired" is just a word. Debbies life has taken many directions since teaching. She is on the Board of Directors of the Family Outreach Center in the Farm Bureau building in Stronghurst and a member of the HC Extension women's group. At the Media Presbyterian Church she is an Elder and prints the bulletins for each weekly service. She is a member of the Beulah Circle at the church. At Christmas time she assists the West Central School Counselor with the Angel Tree and presently is working on the Alicia Pence Benefit which will be held June 9th at the Henderson County Fairgrounds in Stronghurst. June 29th is the day for the Media Quasquicentennial Celebration and she is publicity chairman for that and she is a trustee on the Media Town Board. She enjoys traveling and has taken many trips. In 1981 she accompanied her parents on a farm tour. She recalls that they arrived in London three days after the wedding of Princess Diana and Prince Charles. Other countries included on the tour were Holland, Germany, Austria, Lichtenstein, Switzerland and France. She was teaching geography at the time, so she could show her students where she had visited and hopefully instilled in them a longing to see more of the world. Debbie and Julianna have sailed on a cruise to the Carribean and vacationed in Cancun, Mexico. Her mother, Mary Lee, joined them on a cruise to Alaska. 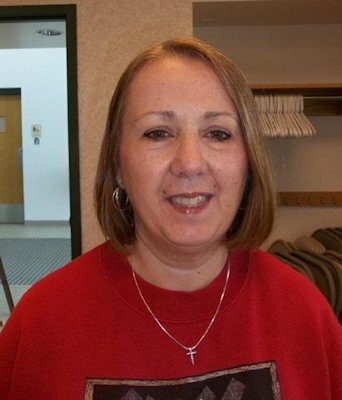 Debbie is a big Green Bay Packers fan and her students always enjoyed seeing her memorabilia displayed in her classroom. I'm sure she converted a few of them over to that team with her enthusiasm. She is spending much of her time now helping to prepare for Media's 125th birthday celebration. She is hoping that everyone marks their calendars and plans to meet in Media on June 29th, 2013. Activities are planned which include: a parade, car show, music, talent show, concessions and a 5 K run. Much entertainment is planned throughout the day and evening for all ages. Debbie looks forward to each day to see what the Lord has planned.